41Mp compact – from Nokia! Once, Nokia were the largest camera manufacturer in the world. Pioneering the combined camera and smartphone market with for the time, sophisticated Symbian-based phones with Zeiss lenses. Such a short time ago, relatively, is an epoch in the technology industry and Android, combined with the sales success of Apple’s iPhone, has eroded the early gains made by Nokia and Sony with their camera-focused models. As such, in recent years Nokia has struggled to find a clear identity and sales – losing the iconic Communicator ranges, seemingly sidelining their own Symbian OS, and diversifying to the point where selecting a clear Nokia device can be hard. This is set to change, with a pioneering new cameraphone. The 808 PureView carries a digital-camera threatening 41Mp sensor. Nokia sets a new industry standard with the first in a range of high end experiences based on exclusive Nokia PureView imaging technologies. 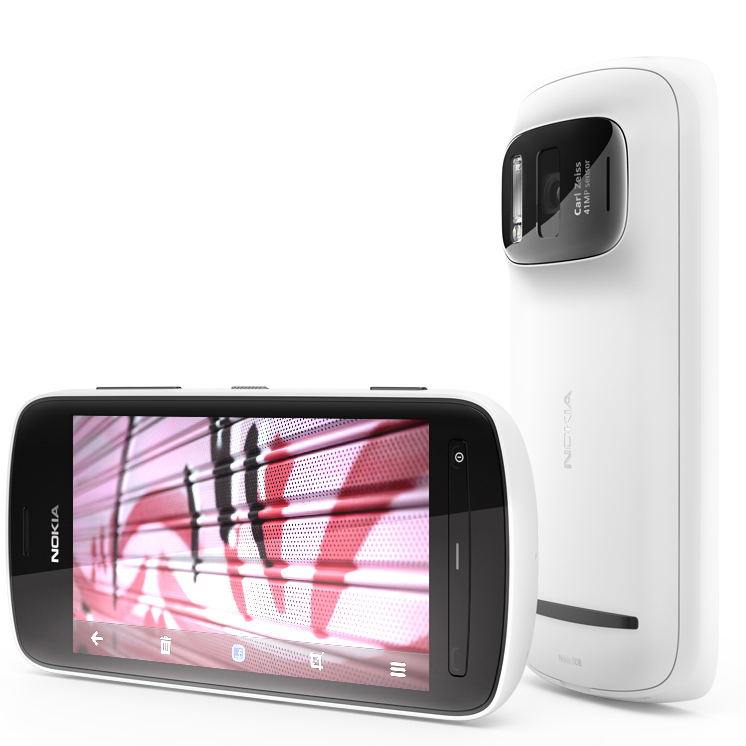 Barcelona, Spain – Nokia today ushered in a new era in high-end smartphone imaging with the Nokia 808 PureView. This is the first smartphone to feature Nokia PureView imaging technologies, bringing together high resolution sensors, exclusive Carl Zeiss optics and Nokia developed algorithms, which will support new high-end imaging experiences for future Nokia products. The Nokia 808 PureView features a large, high-resolution 41 megapixel sensor with high-performance Carl Zeiss optics and new pixel oversampling technology. At standard resolutions (2/3, 5 and 8 megapixels) this means the ability to zoom without loss of clarity and capture seven pixels of information, condensing into one pixel for the sharpest images imaginable. At high-resolution (38 megapixelmaximum) it means the ability to capture an image, then zoom, reframe, crop and resize afterwards to expose previously unseen levels of details. With superior low-light performance and the ability to save in compact file sizes for sharing in email, MMS, and on social networks, the Nokia 808 PureView makes it possible for anyone tocapture professional looking images in any conditions. In addition to superior still imaging technology, the Nokia 808 PureView, also includes full HD 1080p video recording and playback with 4X lossless zoom and the world’s first use of Nokia Rich Recording. Rich Recording enables audio recording at CD-like levels of quality, previously only possible with external microphones. The Nokia 808 PureView also features exclusive Dolby Headphone technology, transforming stereo content into a personal surround sound experience over any headphones and Dolby Digital Plus for 5.1 channel surround sound playback. This entry was posted in Uncategorized by Richard Kilpatrick. Bookmark the permalink.